It was exciting to be a part of the 2018 RxR Experience, our first year participating. The inspiration for our block was ‘St. John’s Waltz’ one of Newfoundland’s best loved songs by written & performed by Ron Hynes (1940 - 2015) St. John’s favourite singer/songwriter. 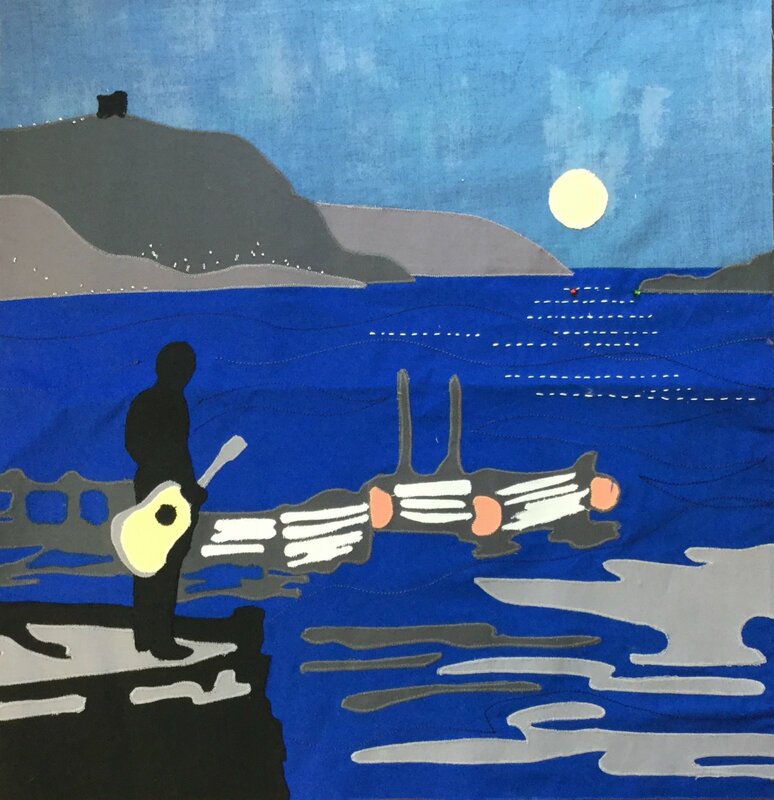 We collaborated with the oh-so-talented Ralph Jarvis of THE QUILTED STASH to create a block that celebrated Ron and all of the talented musicians who make their way nightly through downtown St. John’s, toting their instruments to play in one of our many music venues.